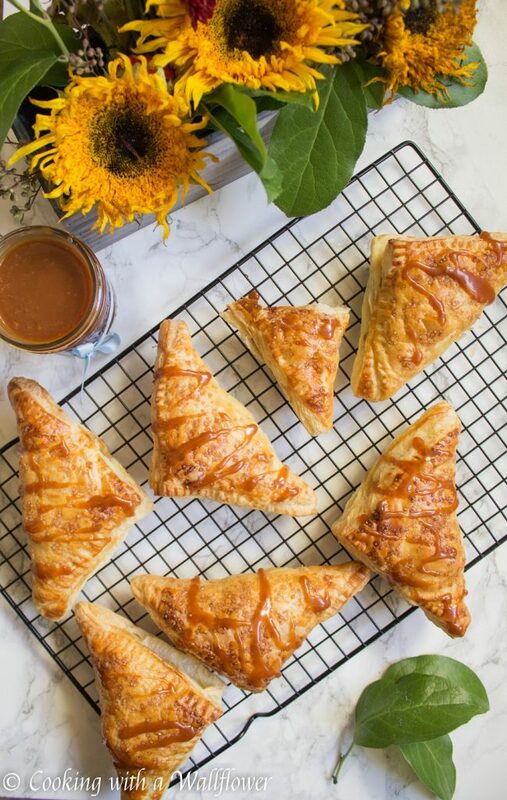 Puff pastries filled with cinnamon apples then drizzled with salted caramel. 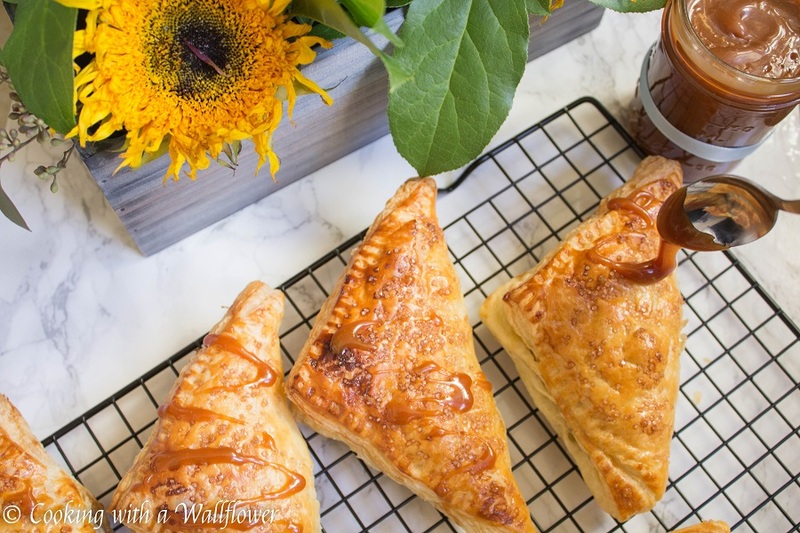 These salted caramel apple turnovers are simple to make and delicious. The heavy rain falls steadily outside. The strong wind howls and rattles the windows. It’s definitely winter in the Bay Area, and all I want to do is stay inside. I swear, if I could hibernate all winter, I really would. All the gloominess and gray skies make me want to stay in bed and under layers of blankets all day long. Does anyone else feel the same way? How do you motivate yourself to get things done? Since I can’t stay in bed all day, I like to spend time in my second favorite spot in the house: the kitchen. I’ve mentioned before that I love having the oven on during the winter with something delicious baking. The warmth from the heat radiating from the oven, the aroma of baked goods. What’s not to love? So today, I wanted to introduce you to a brand new recipe, perfect for breakfast, snack, or entertaining. 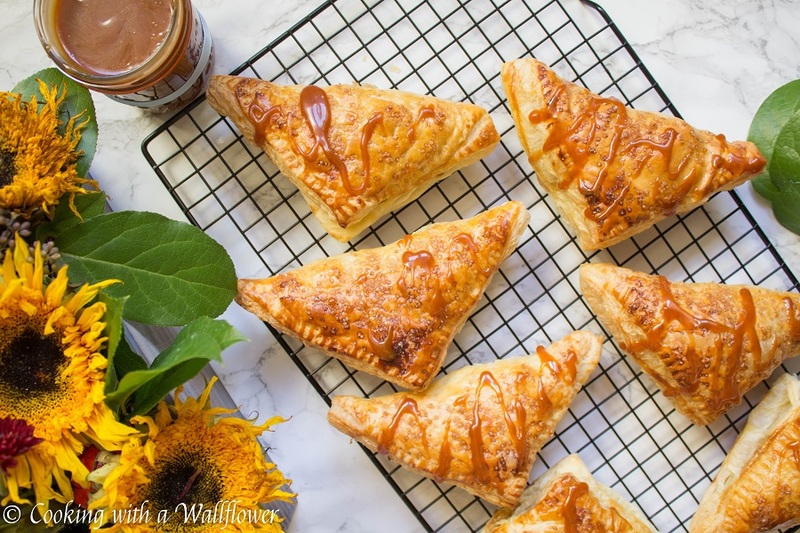 These salted caramel apple turnovers are sweet and salty and soo delicious. 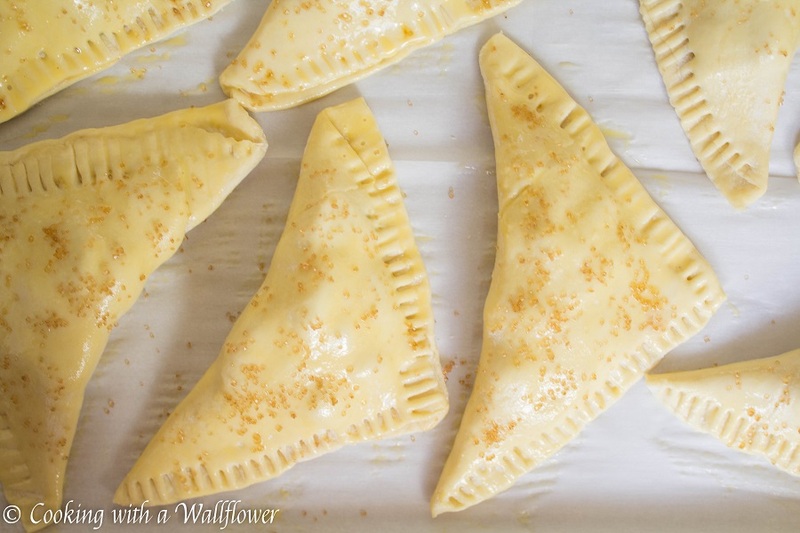 They’re simple to make, especially if you’re using store bought puff pastry sheets. I have to say that I love frozen puff pastry sheets for its convenience. Remove it from the freezer, let it thaw, and then they’re ready to be used. There are so many different things you can make with them. But today, I want to use them to make salted caramel apple turnovers. Just picture: layers of flaky puff pastries, warm cinnamon apples, the crunch of coarse sugar, and a drizzle of sweet and salty caramel. It’s perfect as a dessert for breakfast or as a late afternoon snack. And of course, it’s great for entertaining any guests you might have over. Preheat the oven to 400F. Line a baking sheet with parchment paper or nonstick silicone baking mat. In a small mixing bowl, combine diced apples, cornstarch, vanilla extract, granulated sugar, and ground cinnamon until well incorporated. 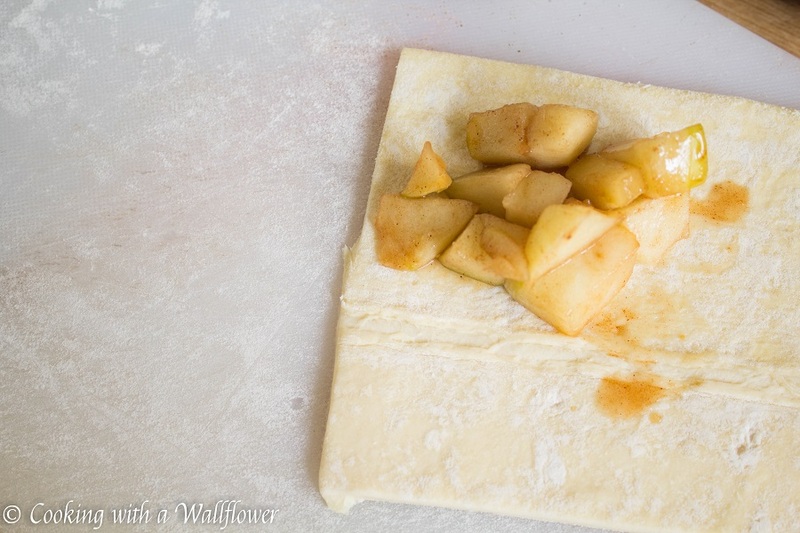 Cut each of the puff pastry sheets into four squares. 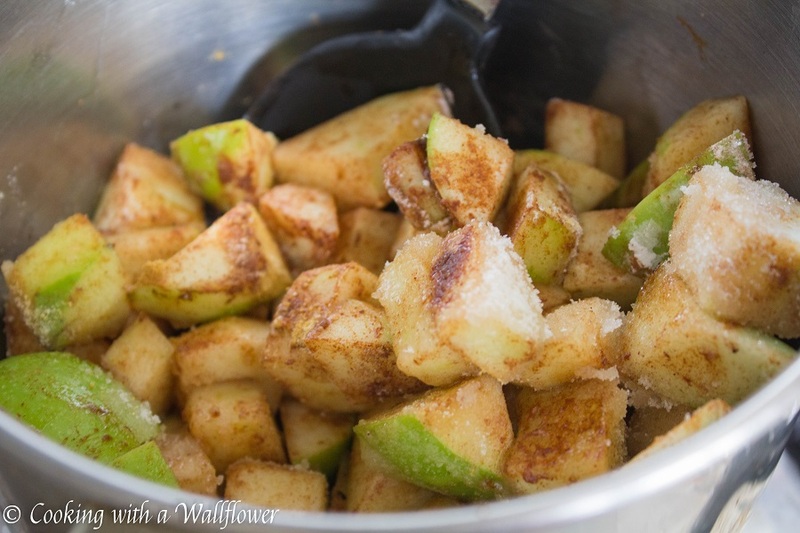 Place about two tablespoons or so of apple filling in one corner of the square. Fold the square in half to form a triangle, lining the edges together. 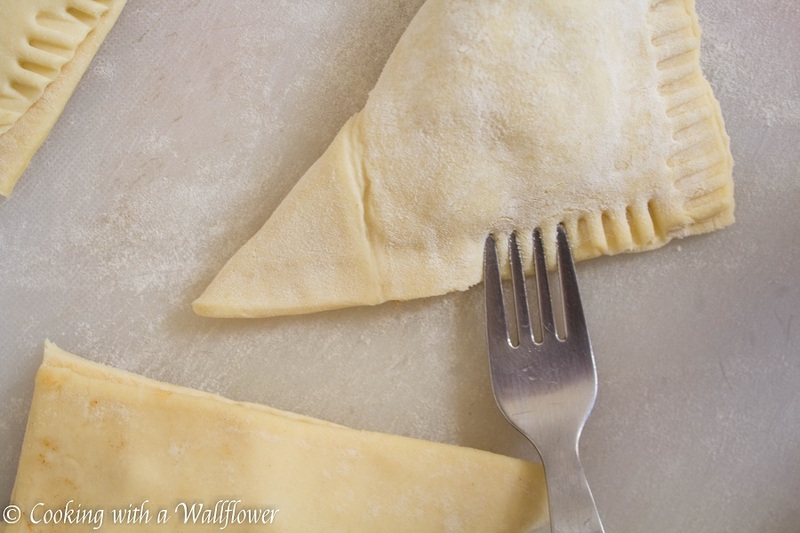 Use a fork to press around the edges to seal the puff pastries. Do this for all eight. In a small bowl, whisk together egg and milk until combined. Brush the egg wash over the tops of the apple turnovers. Sprinkle coarse sugar on top, and then bake for about 20 minutes until the top has turned a golden brown. 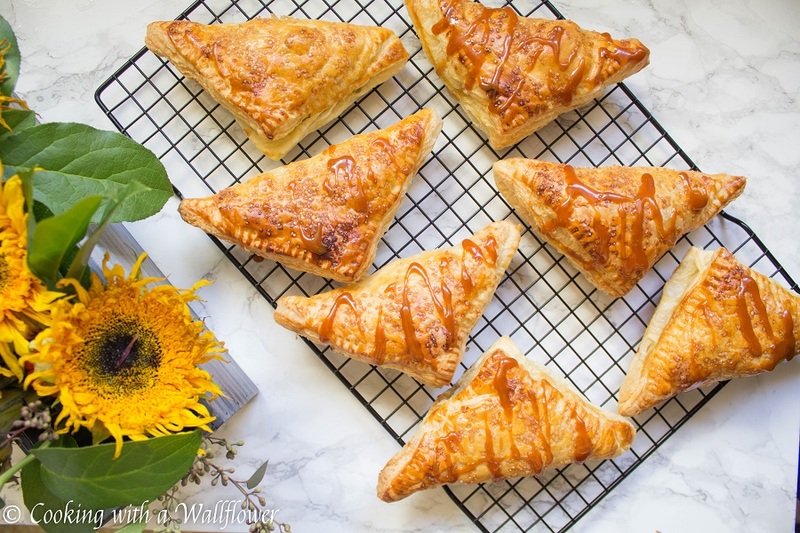 Remove the apple turnovers from the oven. 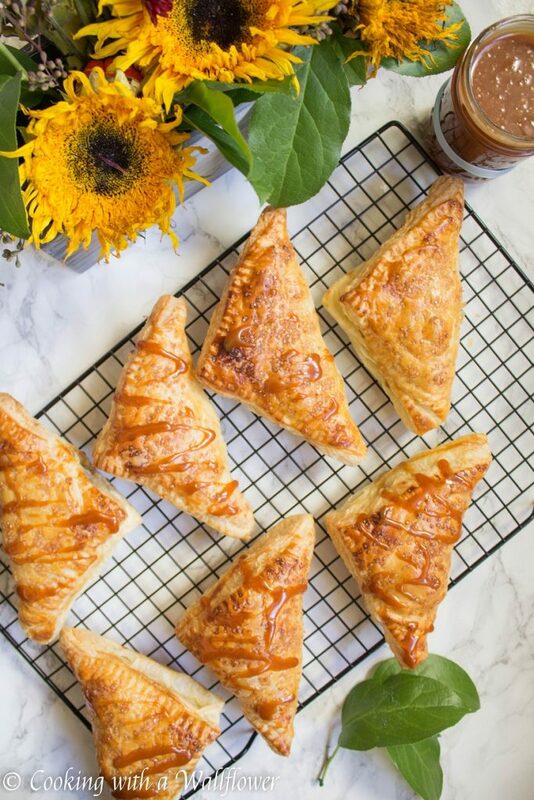 Drizzle salted caramel over the apple turnovers. 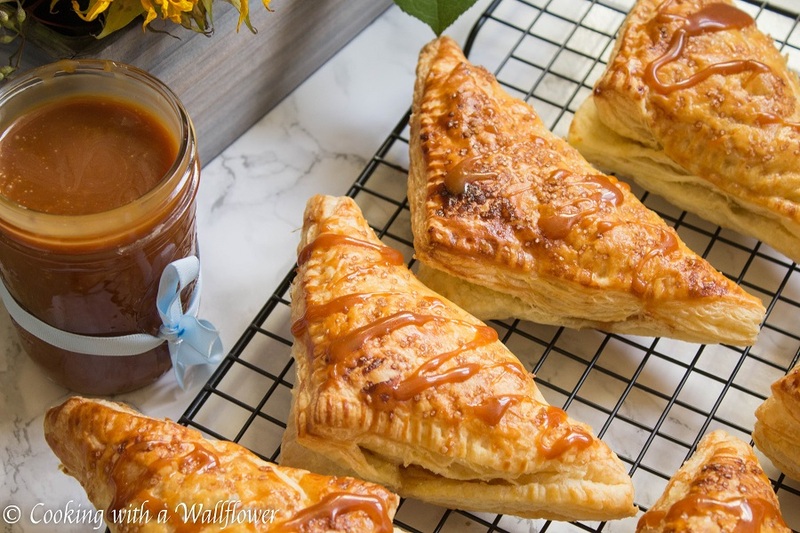 Serve the salted caramel apple turnovers warm. 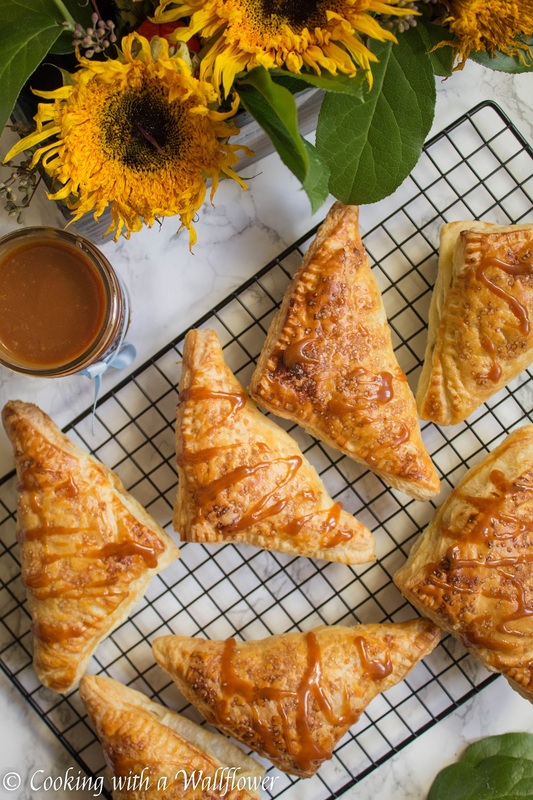 This entry was posted in Desserts, Fall Cravings, Farmer's Market, Quick and Easy, Recipes, Snacks, Vegetarian and tagged apples, desserts, farmer's market, quick and easy, turnovers, vegetarian. Hope you’ll get the chance to try it, Logan!